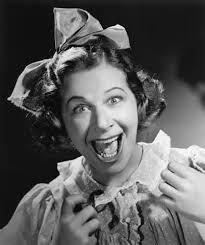 Born in 1907, Freda Josephine McDonald, Josephine, as she was later called, was destined to be an entertainer. Born to dancer Carrie McDonald and possibly Eddie Carson, (her father’s true identity has never been confirmed) who was also in show business, Josephine made her first appearance on stage at the age of one when the couple brought her onstage during the finale of their act. After Carson abandoned McDonald and her young daughter, Carson took in laundry to help make ends meet. She soon married Arthur Martin, a kind but perpetually unemployed man. Josephine, at age 8 took work as a live in domestic for wealthy white families to help her mother put food on the table. After being abused by one of the women she worked for, Josephine left and made money on the streets of St. Louis as a street corner dancer. She married at age 13. The marriage lasted less than a year, and Josephine joined a street performance group called the Jones Family Band. Josephine, a naturally skilled dancer, added comedy to the troop’s act by acting silly and clumsy, but then crushing her dance routines at the finale. At 15, Josephine married Willie Baker. Again, unhappy in marriage she divorced him four years later when her vaudeville troop decided to leave St. Louis for the bright lights of New York City. Josephine and the troop performed at the Plantation Club, and in successful Broadway reviews like Shuffle Along and The Chocolate Dandies, often in blackface. Josephine’s distaste for conventional married life, and her ardent desire to become an entertainer, pained her mother, and the relationship between the two women became permanently strained. She starred in two French movies in the early 1930’s, Zou-Zou and Princesse Tam-Tam. With her growing wealth she moved her family from St. Louis Missouri to France, and purchased an estate in Catelnaud-Fayrac called Les Milandes. There, she acquired an assortment of animals including monkeys, cows and horses, dogs, and a pet cheetah she named Chiquita. Chiquita, wearing a collar of diamonds, often performed with her, but when she once jumped into the orchestra pit threatening the musicians, Chiquita had to go. Baker became romantically involved with Giuseppe Pepito Abatino, a Sicilian born opportunist who passed himself off as a Count. Although pretentious about his own reputation, under his influence, Baker’s star began to rise. Abatino became Baker’s manager, and under his careful guidance Josephine started training with a vocal coach and her talent went into overdrive. 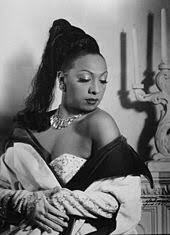 She took the lead in a six-month long run of a revival of the opera, La Creole, cementing her reputation as a first-class performer. 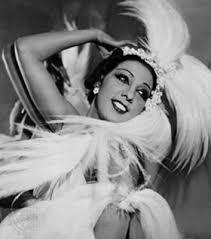 She and Abatino decided to take her act back to Josephine’s home, the United States, to perform for the 1936 revival of the Ziegfeld Follies on Broadway. Heart-broken, Josephine returned to France and renounced her American citizenship. In 1937 she became a French citizen and married French industrialist Jean Lion, but the marriage only lasted two years. In 1939, France declared war on Germany in response to the invasion of Poland. Baker was recruited by French military intelligence as an “honorable correspondent.” She gathered information for the French while at high society parties in Europe. She also carried secret messages to England written in invisible ink on her sheet music, as well as transporting notes with classified information pinned to her underwear. During this time, Baker also entertained British, French, and American soldiers in North Africa. For her efforts, Baker received the Croix de guerre and the Rosette de la Resistance, and was made a Chevalier of the Legion d’honneur by General Charles de Gaul. Because of peritonitis and then septicema caused by a miscarriage, Josephine had to undergo a hysterectomy. When she recovered, she returned to her French chateau with yet another husband, French composer and conductor Jo Bouillon, whom she’d met during her tour of Africa. Unable to have children of her own, Josephine adopted children from all over the world, twelve in total. She called them her “rainbow tribe,” and sought to prove that people of different races could live in harmony. Her Les Milandes estate now included hotels, a farm, and rides. The children sang and danced for paying visitors to the estate. However, the expenses of the farm, chateau, and her growing family put pressure on Josephine’s marriage and Bouillon left shortly after Josephine adopted her eleventh child. Although a citizen of France, Josephine supported the Civil Rights Movement during the 1950’s in America. Again touring the U.S., she and her husband, Jo, were refused reservations at several hotels, and were denied service in restaraunts because of racial discrimination. Baker refused to perform for segregated audiences. A club in Miami finally met her demands, and this time touring America, Josephine enjoyed some success. In 1968, Josephine lost her beautiful estate because of unpaid debts. She had to be physically removed from the property. Her friend Grace Kelly, whom she’d met while at The Stork nightclub in New York City, where they’d refused to serve Baker because the color of her skin, again came to her rescue and offered her a villa and financial assistance. Kelly had by then become princess consort of Rainier III of Monaco. In 1975 Josephine starred in a retrospective revue, celebrating her 50 years in show business at the Bobin in Paris. Prince Rainier, Princess Grace, and Jacqueline Kennedy Onassis financed the endeavor. The show opened to rave reviews and was attended by notable personalities and celebrities including Sophia Loren, Mick Jagger, Shirley Bassey, Diana Ross, and Liza Minelli. Four days later, Josephine was found unconscious in her room surrounded by newspapers depicting glowing reviews of her performance. She later died peacfully in her sleep. The autopsy report stated cerebral hemmorage as the cause of death. From the poverty stricken streets of St. Louis with little education, Baker became the first person of color to become a worldwide entertainer. She socialized with the most influential artists, writers, painters, entertainers, and intellectuals of her time. She served the resistence of her adopted country France, and she impacted the civil rights movement of her native country, America. She was an empowered woman who used her talent and celebrity to better the lives of others as well as her own. Greetings! I’ve been tagged in The Writing Process Blog Tour by my friend and fellow LERA (Land of Enchantment Romance Authors) sister, 2014 Golden Heart®finalist, Shelly Alexander to tell you about my process in writing a novel. Process is one of the things I love to talk about with other writers. I love to hear about what makes them tick and how they get their stories down on paper, or on the computer screen. Some writers are pantsers, they sit down and let their fingers fly, telling those stories by the seat of their pants. Others are plotters, with pages and pages of scenes, dialogues, outlines, beginnings and endings. I fall somewhere in between. I like to think of myself as a puzzler. I start with a plan, an outline – the frame of the puzzle – and then I add the pieces, usually in a linear fashion. This is the way I work actual jigsaw puzzles. I start with the outer frame and then work from the top down, filling in the pieces. I am working on the first book of a three book series titled Waiting In The Wings. The story is a historical mystery and takes place in 1917, New York City, in the glamorous, glittering world of the Ziegfeld Follies. Grace Michelle, an introverted, aspiring costume designer in the Ziegfeld Follies, 1917, has everything she wants; pretty good for an orphan who once lived on the streets of New York City. When her sister, Sophia, the star of the show is murdered, Grace’s protected, comfortable life is shattered. She must step into the Broadway spotlight as Ziegfeld’s newest star to find her sister’s killer. 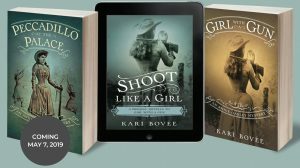 When she discloses a secret from their past, Grace becomes a target and soon discovers the horrific truth about Florenz Ziegfeld, the man who raised her as a daughter. I like to take real life characters from the past and breathe new life into them. I am particularly drawn to smart, strong women who were mavericks of their time. Although Grace is a fictional character, she is comprised of many of the women I researched for this novel. Some were actresses and some worked behind the scenes. 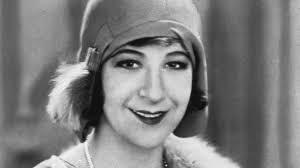 Many of my secondary characters are real people who worked for Florenz Ziegfeld on Broadway from 1917 -1920. And, of course, the man himself, Florenz Ziegfeld has a starring role in my story. It was fun for me to learn as much about these iconic figures as I could and then recreate their adventures (in pursuit of fame and fortune) in the theater and on the road. I like working within the confines of history, but expanding on that history and as I imagine what could have happened. After all, as writers, aren’t we all asking that BIG question, what if? I’ve always thought I should have been born in a different era. I am fascinated with certain periods in history and can actually visualize what my life would be during those times. I’ve traveled to many places around the world and in a few of those places I have had an intense, visceral, almost spiritual connection with my surroundings. And no, I don’t take drugs – it could be my overactive imagination, or maybe I really did live in those times and places. It’s all a part of the cosmic question, who are we? As a history buff, I absolutely love getting lost in research. I often take two to three months to research a historical person, place or event. Sometimes, I’ve even been lucky enough to travel where my story will take place. Once I have a character and setting in mind, then I will start to form the story. I like to use a four-act structure I learned from Lisa Miller’s Story Structure Safari class, comprised of the set up, the response, the attack and then the resolution. Once I figure out vital story components such as the Inciting Incident, Call to Action, Defining Moment, etc, then I start to outline scenes. I use sticky notes on poster sized foam core boards. On each sticky note, I will jot down what I want that scene to be. I map out all the scenes in the story and then I sit down to write. Here’s where the puzzler part comes in. Often, as I write, my characters will say or do something I never expected – which can change the story line. If this happens (and I LOVE it when it does) I have to make the puzzle pieces different shapes to fit the new puzzle. My motto for writing and for life is: Always have a plan. If the plan changes, adjust and make a new plan! Once I have a first draft, I walk away from it. Sometimes, I don’t look at it for weeks, months, maybe a year – or several – as it’s been for Waiting In The Wings. I am usually working on more than one book at a time, so the separation isn’t devastating. I think about my stories all the time. Then come the revisions. Revise, revise, revise. I work with a fabulous critique partner and together we work to make our stories as perfect as we can. Sometimes I share my work with other writers and always, I share my work with readers (a select few, of course) because the reader is really the one who counts. At times, I’ve used a professional editor and the experience is invaluable. I highly recommend it! So, that is my process – for now. Life and writing is full of change. As writer’s we all have our own process and our own way of telling our stories. All are different and all are fascinating. I’d love to hear about yours!! The ethereal Olive Thomas is the inspiration for one of the secondary characters in my novel, Grace in the Wings, the first book in a mystery series that is currently being shopped by my agent for purchase. Sophia Michelle is the older sister of my protagonist, Grace. Orphaned at 15, Sophia vowed that she and Grace would always have a roof over their heads, never go hungry and never live in an orphanage. She relied on the only asset she possessed at the time, her captivating beauty. She spent many nights “out” but always provided for her sister until she was discovered by the famous show-man, Florenz Ziegfeld, who took the girls under his wing and made Sophia a star. 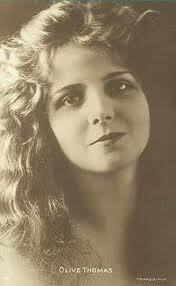 Olive Thomas was born Olivia R. Duffy, October 20, 1894, to a working class Irish American family in Pennsylvania. At 15 years of age she was forced to leave school and help support the family. At 16 she married Bernard Krush Thomas. The marriage lasted two years. After her divorce she moved to New York City, lived with a family member, and worked in a Harlem department store. In 1914, she won “The Most Beautiful Girl in New York City” contest and landed on the cover of the Saturday Evening Post. The relationship with Pickford could even have been said to contribute to her sudden death in 1920. After a long night of dancing, drinking and drugs, Olive and Jack went back to their hotel room. Suddenly, from the bathroom, Jack heard Olive scream, “Oh God!” According to Jack’s account, Olive had accidentally drunk from a bottle of something marked “poison”. 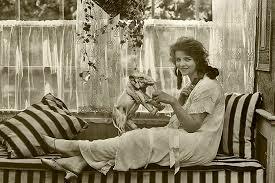 After a trip to the hospital and having her stomach pumped three times to no avail, Olive Thomas died. The autopsy stated that she died of a mixture of mercury bichloride and alcohol. Mercury bichloride was the prescribed tonic for Jack’s persistant and cronic syphyllis. 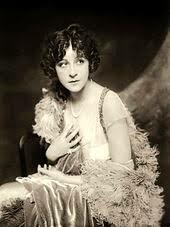 The next series of blog posts I will write will be about the real life personalities from the Ziegfeld Follies who inspired my characters for Saving Grace. The first is about Franz Sigrid, my antagonist, who was inspired by the All-Time Greatest Showman on Earth, Florenz Ziegfeld, Jr.
Florenz Ziegfeld Jr., (Flo) born of a German father and Belgian mother in Chicago, March 1867, was one of the first and ultimately most successful Broadway producers of his time. Known for “the Ziegfeld Touch” he was an expert at turning plebian dramas and comedies into art without losing their mass appeal. Many have said that Ziegfeld Jr. was foolish, extravagant, and cruel, which may be true, but, above all, he was an artist driven by the pursuit of beauty. His career started in 1893 with a vaudeville act headlining German strongman Eugene Sandow. Sandow, a perfect male specimen, would perform daring feats of strength . He would set a man on the palm of his hand and lift him up, wrestle three men at one time, and once let three horses walk across a plank on his chest. He was wildly popular with the women in the audience and Flo would charge money for them to come backstage and feel Sandow’s muscles. Ziegfeld’s career was long and varied and produced many stars such as Fanny Brice, Eddie Cantor, Marion Davies, Irene Dunn, W.C. Fields and Olive Thomas among others. He hired some of the most talented musicians and composers for his musical scores, among them George Gershwin and Irving Berlin. Flo had extravagant tastes and would often shower his stars with expensive baubles and gifts. With some shows, he would amass a fortune, only to spend it all on women or the gaming tables. There were times in his career that he would be so in debt, the banks would no longer lend him money, but he always found it somewhere. He was extremely adept at publicity and would often orchestrate elaborate ruses to get his name and his stars names in the papers. The beauty and grandeur of his shows never suffered. Ziegfeld was married twice, first to the beautiful French actress Anna Held. It is said that they never were actually married but were together long enough to constitute a common law arrangement. She left him years later because of his affair with starlet Lillian Lorraine. He then married actress Billie Burke of Wizard of OZ fame (Glenda the Witch of the North) and was with her until his death in 1932. My character, Franz Sigrid is the antagonist in Saving Grace. While possessing the same charm and brilliance with his artistry and publicity stunts as Flo Ziegfeld, Franz is a bit more humble, but a lot more devious! His affairs and money problems are exacerbated by his constant strive for publicity and the limelight for his stars. I hope you enjoy him as much as I did!